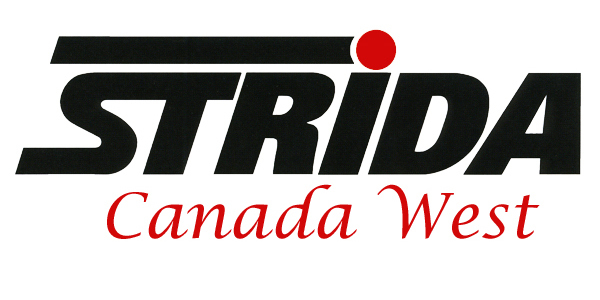 You may never see the words Strida and time trial used in the same sentence but they can go together. This post details my Strida EVO time trial program. This summer I have been time trialing with my EVO just to see what myself and my Strida can do. I know I can still improve my performance. I will start with this post and update the post when I better my time. My EVO is equipped with 18 inch wheels, M-Style-Handlebars, alloy belt wheel and a Strida leather saddle. I like the M-Style-Handlebars because they provide me with a more upright riding position then the standard Strida handlebars. These handlebars bring my hands back towards my body and my wrists are also turned, providing a more comfortable position. With my hands in this position and closer to my body it feels like I can get more of my weight on the pedals. The Strida leather saddle is wider than the Strida standard saddle. This added width at the back of the saddle provides more comfort when you are sitting upright. The Strida leather saddle is not padded but the two large springs do absorb some of the road shock. The instructions that come with the Strida leather saddle suggests that with time the saddle will form to the shape of your body. I think they may have this backwards but it does get more comfortable the more I ride with the leather saddle. Now for the Strida EVO time trial. Sitting upright on the Strida is not the most aerodynamic body position but to some extent the Strida does compensate for this body position. The Strida single sided fork combined with the small wheels do make for a aerodynamic bike. At least it feels this way to me when I am doing more that 50 km/h down a short hill. Watch for a update of my Strida EVO Time Trial project, you can count on me to update when I achieve a better time. If you have not used Strava, it operates with an app in my smart phone and is very easy to use. Please click on the map for the complete details.